As we are deep into the NFL Playoffs a member of the most successful post season team of all time died today as former Miami Dolphin, Bob Kuechenberg passed away today at age 71. 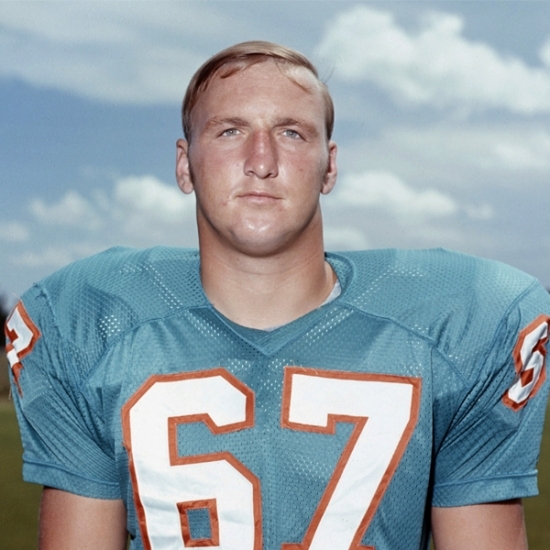 A Dolphin for all fourteen of his NFL seasons, Kuechenberg played 196 Games, starting 176 of them predominantly at Left Guard. Kuechenberg was a member of the Dolphin’s perfect 1972 14-0 Super Bowl VII team and he would help them repeat as champions in Super Bowl VIII. He would be chosen for six Pro Bowls and two First Team All Pros. He is ranked #43 on our Notinhalloffame.com Football List as those worthy of consideration for the Pro Football Hall of Fame. We here at Notinhalloffame.com would like to extend our condolences to the friends and family of Bob Kuechenberg at this time.